Our family has several cats, a Saint Bernard, and a beta fish. We are always on the lookout for items to make feeding, caring, and cleaning up for our pets easier for everyone. The Snug Pet feeding mat was a good choice. I thought at first we would use this for our Saint Bernards food dishes, but alas even though this is very large, it is not large enough for her bowls. This would be great for normal size dog dishes though. In our home we are using this for under our cat dishes because it works for their dishes as well, and much better than our super large dishes that our Saint Bernard currently uses. For now we are back to putting down a kitchen slice rug under her bowls, so the search continues for a mat for our Saint's dishes. 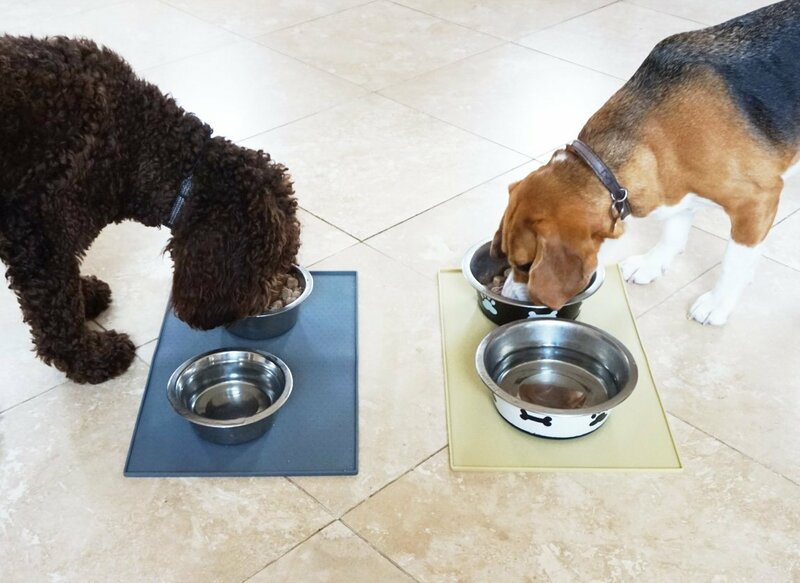 This mat is super easy to clean when soiled, hold both solid and liquid spills. My family loves that we don't have to sweep up little pieces of cat food, or spills from them lapping their water. This mat is 19 inches by 12 inches. You can find the Sung Pet feeding mat on Amazon. What Snug Pet has to say about their product. Disclosure: MarksvilleandMe received one or more of the products mentioned above as part of a promotion with Tomoson and Snug Pet. Regardless, MarksvilleandMe only recommends products or services we use personally and believe will be good for our readers. Some of the links in the article may be “affiliate links.” This means if you click on the link and purchase the item, I will receive compensation. If you would like MarksvilleandMe to review a product or service please contact us at marksvilleandme@gmail.com.